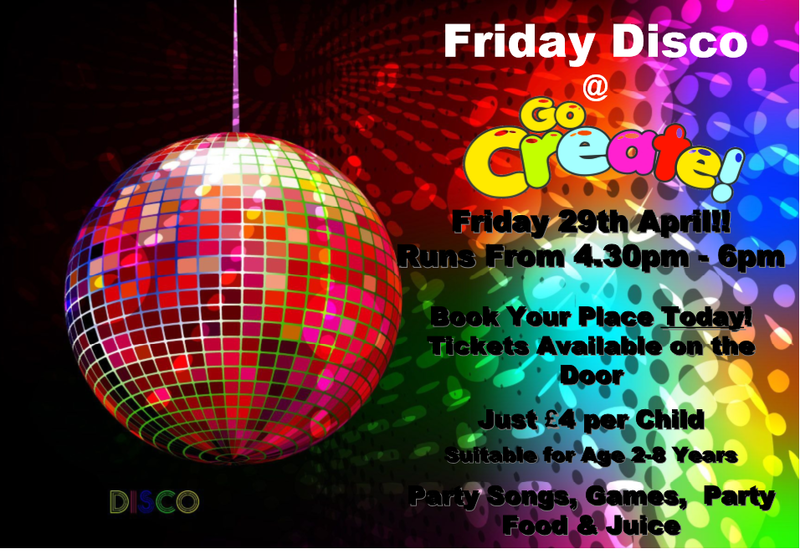 On Friday 29th April from 4.30-6pm Go Create! Will be holding another fantastic end of month Disco. Party games, prizes and awesome dancing guaranteed! Tickets cost just £4 and includes food and drink. These events are perfect for children from 2-8 years. No charge for under 1’s. The Next 6 Weeks at Go Create!